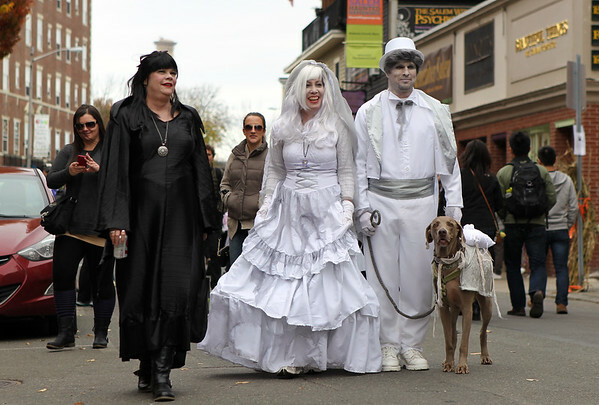 Julie Larsen, of Florida, left, and Dana and Brian Warren, of Connecticut, proudly stroll down Essex Street on Friday afternoon. DAVID LE/Staff photo. 10/31/14.